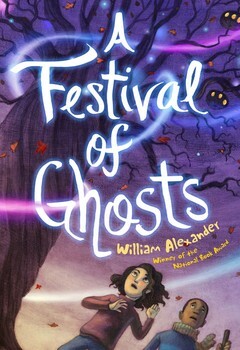 Congratulations to WCYA faculty member William Alexander as he releases his newest book, A Festival of Ghosts. Robin Herrera ’10 asked the National Book Award Winning author a few questions about his new release. Will, what was the spark that ignited this book? This is a sequel, so it shares igniting sparks with A Properly Unhaunted Place. Both come from the playful suspicion that history itself is a haunted house. Whatever happened there—whatever happened here—is still happening. American ghost stories usually treat this as a problem to be fixed, but maybe it isn’t a problem at all. Hauntings are the memory of a place. Memory shouldn’t be wiped clean. I also wanted to write more swashbuckling adventures set in a haunted Renaissance Festival. Kelly Link said, “Trust your weird,” and I usually do. I don’t often share that one with my students, though. I need them to keep their deadlines. Do you write in silence? If not, what’s your soundtrack? Lately I’ve been borrowing momentum from The Hamilton Instrumentals, which is the entire Broadway musical sans lyrics. Perfect for karaoke. It also makes a decent writing soundtrack. How has teaching at VCFA affected your writing life? Teaching here has utterly transformed my writing life. We all come to this place by different routes, and pick up very different skills along the way; the whole community is a thriving ecosystem rather than a monoculture. I depend on that community for insight, support, challenge, and critique. 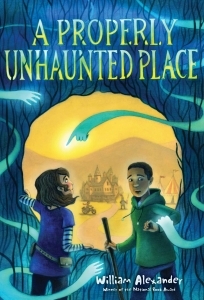 A Festival of Ghosts is the sequel to Will’s A Properly Unhaunted Place which was a Junior Library Guild Selection, a Finalist for the 2017 Cybils Award, chosen by Kirkus Reviews as one of the best books of 2017, chosen by Shelf Awareness as one of the best books of 2017, and a New York Times Book Review Editor’s Choice in October of 2017. In 2012, he won the National Book Award for his book Goblin Secrets. You can see Will accepting the award here!